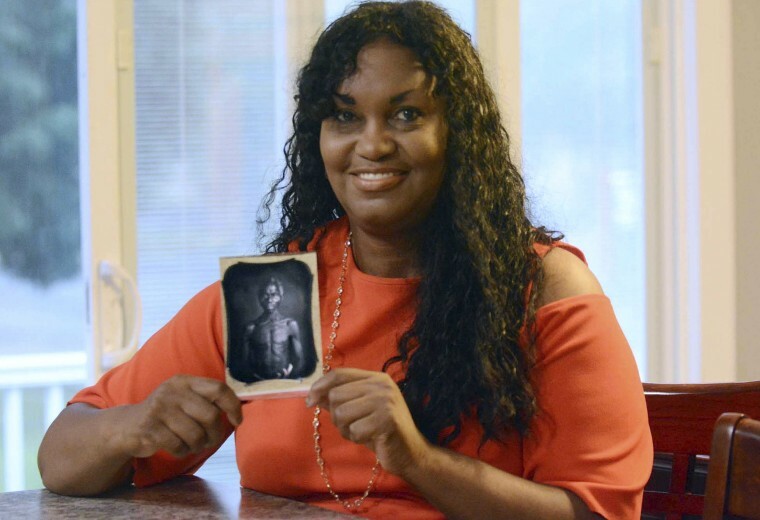 A woman who says she is related to two 19th-century slaves has filed a lawsuit against Harvard University claiming it has been exploiting and profiting off images of her ancestors. Tamara Lanier, of Norwich, Connecticut, said in a lawsuit filed Wednesday in Massachusetts state court that she wants Harvard to acknowledge her lineage and give to her family images of the man and woman she says are her great-great-great grandfather Renty and his daughter, Delia. Lanier says in the lawsuit that Harvard obtained images of Renty and Delia, both slaves in South Carolina, in 1850 when the school's then-leading scientist Louis Agassiz allegedly made the father and daughter strip for a photograph during his quest to "prove" that black people are inferior and to "justify their subjugation, exploitation, and segregation." Harvard told NBC News that it has not been served with a lawsuit and could not comment on the allegations. According to the lawsuit, Renty's name and story has been passed down through Lanier's family for generations and the university has refused requests to turn over the images. The suit alleges that over the years Harvard exploited Renty's image by using it in a 2017 conference called "Universities and Slavery: Bound by History," which explored the relationships between universities and slavery and as the cover of a book that the school sells for $40 that explores the use of photography in anthropology. "Slavery was abolished 156 years ago, but Renty and Delia remain enslaved in Cambridge, Massachusetts," the lawsuit states. "Their images, like their bodies before, remain subject to control and appropriation by the powerful, and their familial identities are denied to them." Lanier is seeking an unspecified amount of damages in addition to the photographs.